Christian Living Communities innovative Rhythms approach adapts to each person’s natural rhythm of life. We strive to educate everyone who is living with dementia—including families and communities—so that they feel supported and can provide support to others on the dementia journey. 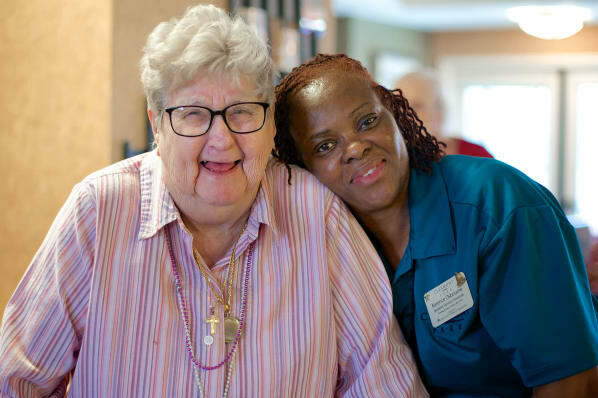 This unique approach to caring for those with memory loss is integral to all of our senior living communities, including those managed by Cappella Living Solutions. These principles and beliefs are the foundation of Rhythms Dementia Services. Dementia is a shift in the way a person experiences the world around him/her. Our job is to create environments where each person can navigate the world successfully and experience a life worth living. Disease should never define a human being. We know each person as a unique individual and use this relationship to create an environment of growth and happiness. Dementia is more than memory loss. We understand that because the brain controls the entire body, there are significant changes that occur with the way the body and brain function and the way in which the brain takes in information. “Behaviors” and “sundowning” are communication of unmet needs - a person’s attempt to tell us that something is not right in his or her world. It’s our job to figure out what they are trying to tell us. We use a variety of tools and techniques (validation, music, arts and more) to meet each person’s individual needs. We adapt our approach as needed. Family members, as well as the person who has the disease are “living with dementia.” We educate and support them on this journey.